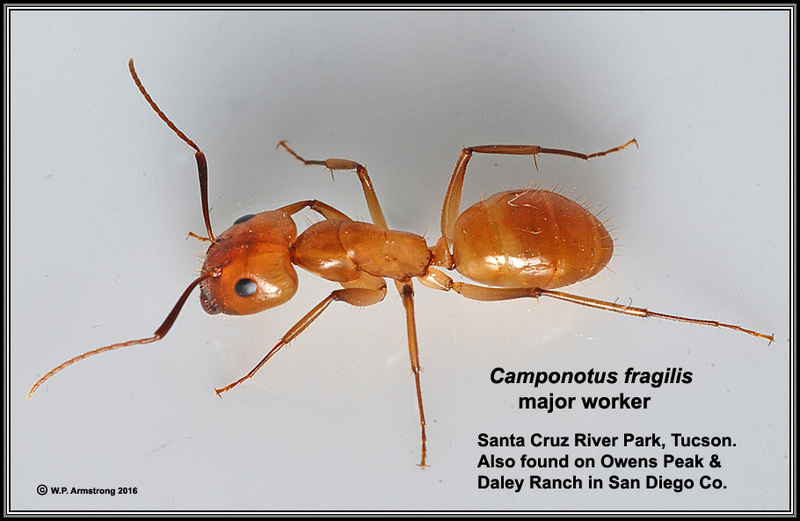 I definitely confirmed that this large carpenter ant is a nocturnal species. I also found it on Owens Peak and Daley Ranch in San Diego County. This honeypot nest was very active on 8 Feb 2016. Honeypot nest (cf. 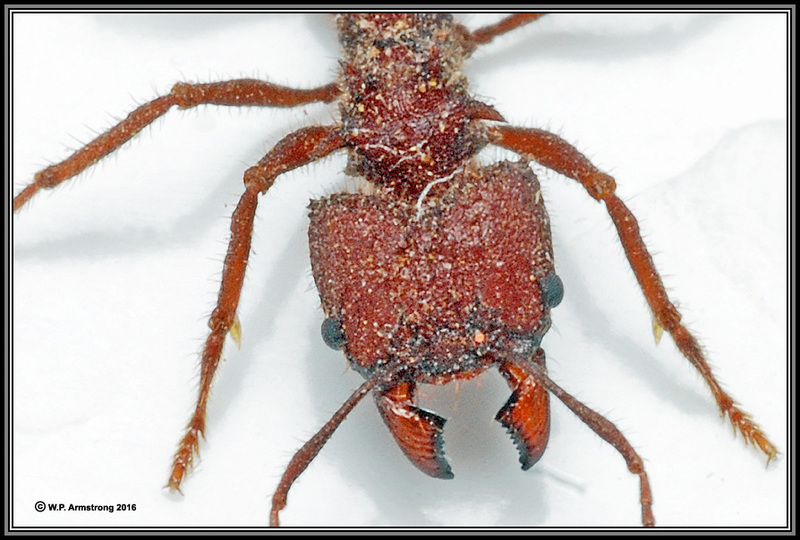 Myrmecocystus mimicus). Facial tissue soaked in saturated solution of table sugar was placed near the entrance to their nest. 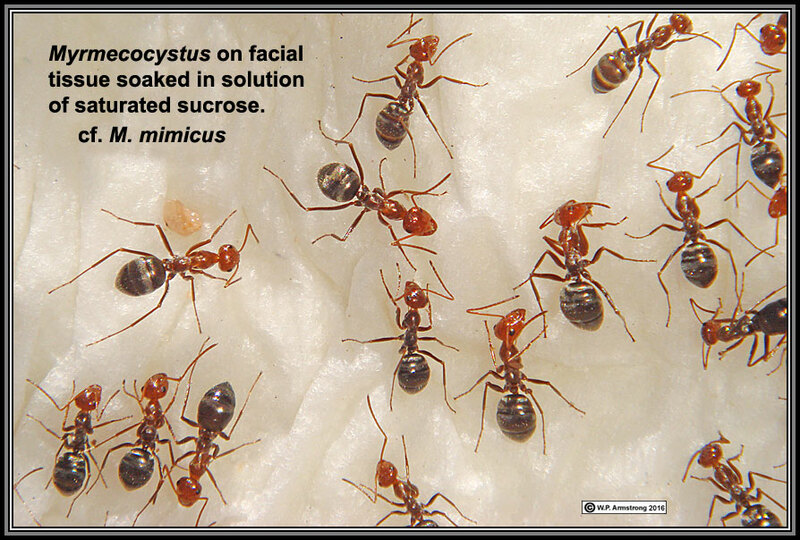 The genus Myrmecocystus is commonly known as "honeypot ants." 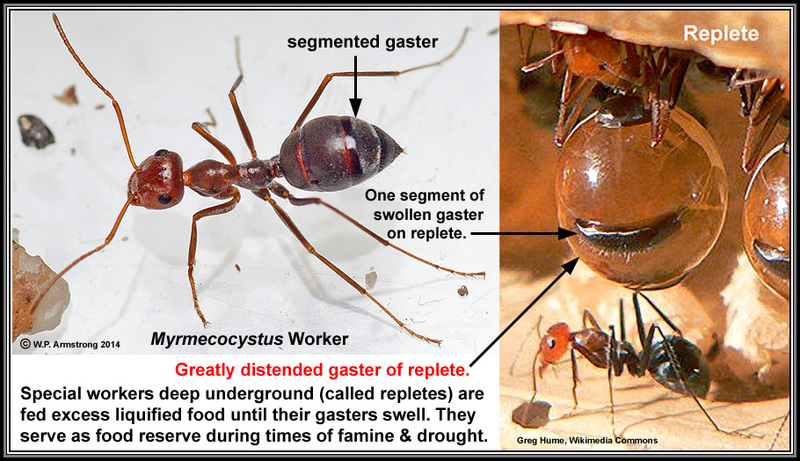 Worker ants tend special polymorphic ants called repletes. 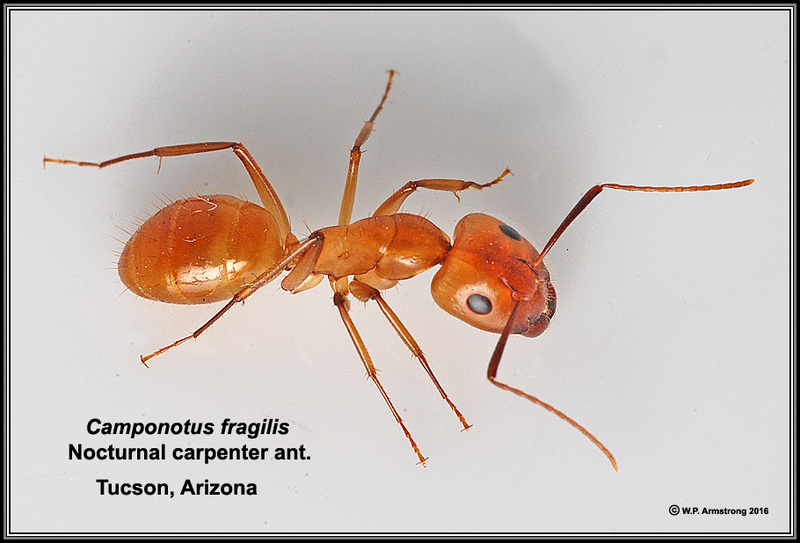 These unusual ants hang from the ceiling deep within the nest and are "living storage units." They store large quantities of nutritious honeylike fluid in their swollen abdomens to feed the colony during times of famine and drought. This is an adaptation for living in extremely hot desert environments with prolonged drought, such as the Salton Sea region. The repletes of some species become the size of small grapes. During leaner times of the year when foraging food is unavailable, workers will tap their antenna upon the head, mandibles and antenna of a replete to solicit food, which is then readily provided to the repletes' nestmates. See the following image courtesy of Wikimedia Commons. 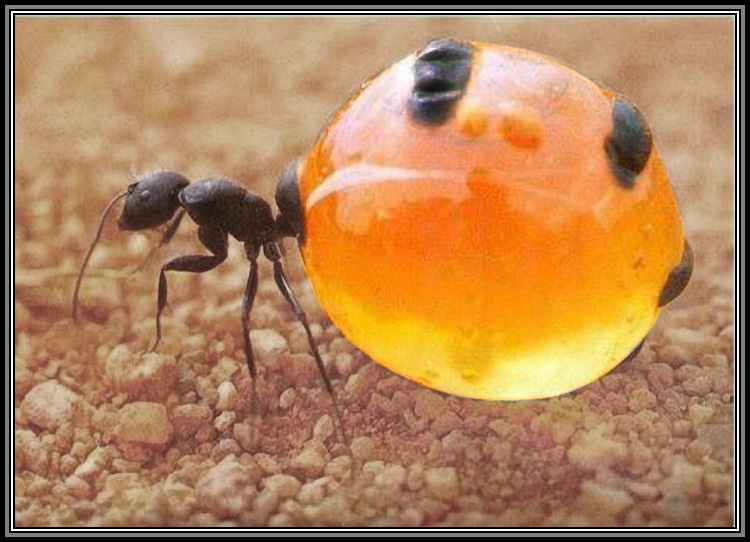 From the Bakersfied Area Skeptic Society: A honeypot ant "replete" engorged with nectar. 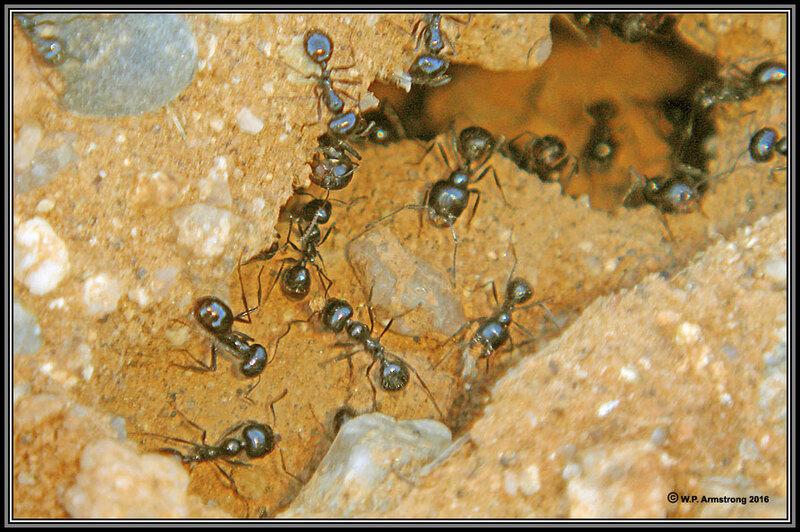 Like a living larder, it remains deep in the nest and supplies other workers with liquid food during times of drought. Running fast is no longer an option for this ant! 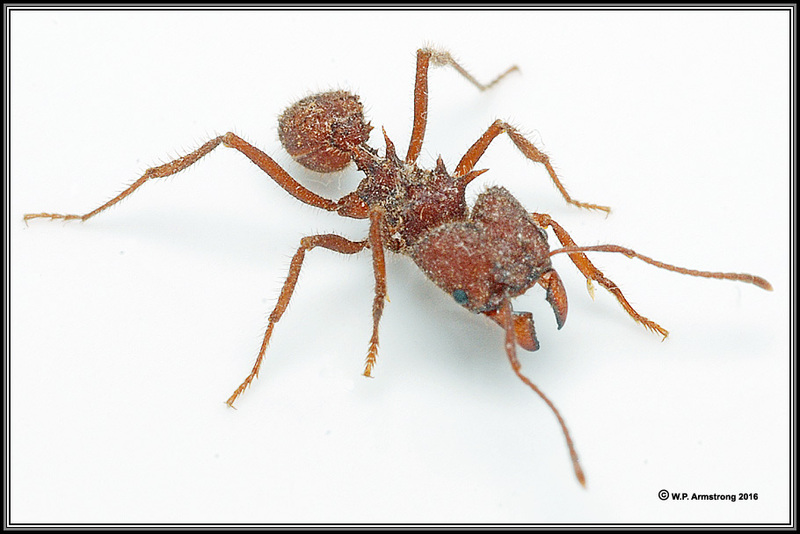 This tasty, sweet morsel is highly prized by aborigines in several countries where honeypot ants live. 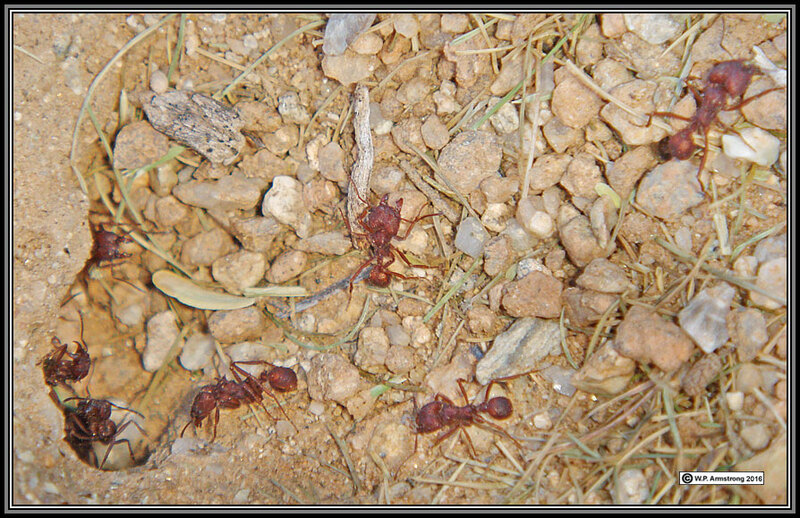 A gentleman that I met at the Comfort Inn in Tucson said he remembered eating these tasty ants as a child in Mexico. 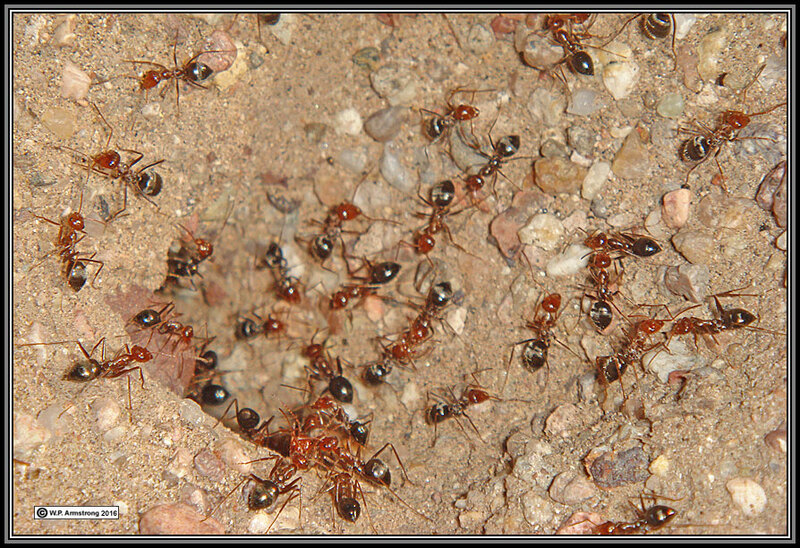 The Spanish translation for honey ant is "hormiga de miel". He was surprised to know there was a nest in the riverbed near the hotel! 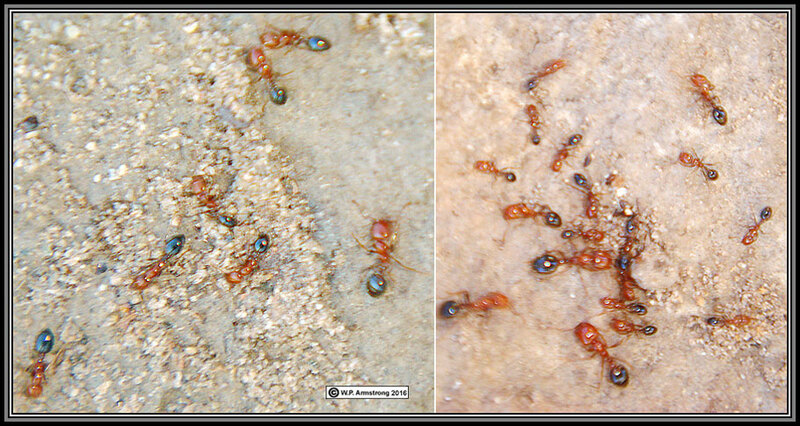 Solenopsis xyloni: The majors and minors are bicolored (red and black) compared with the all black colonies in the Superstitions. I have also seen all black colonies in the Tucson area. 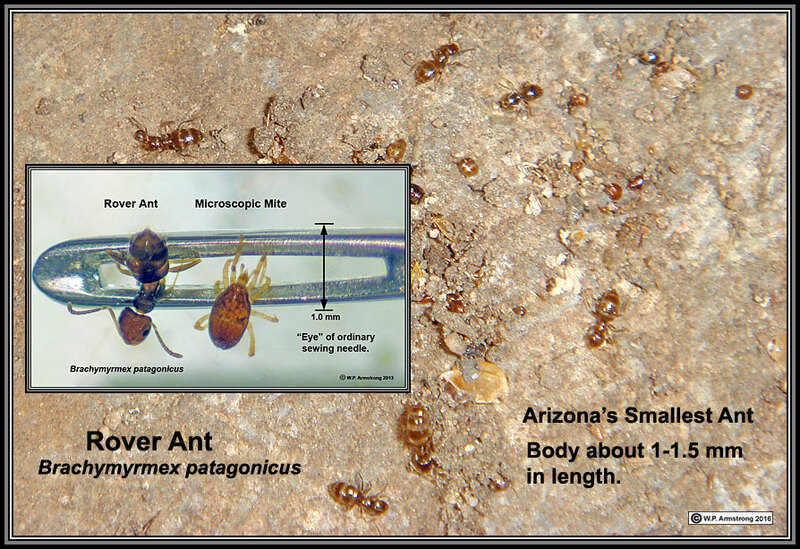 This minute introduced species from South America may be Arizona's smallest ant. 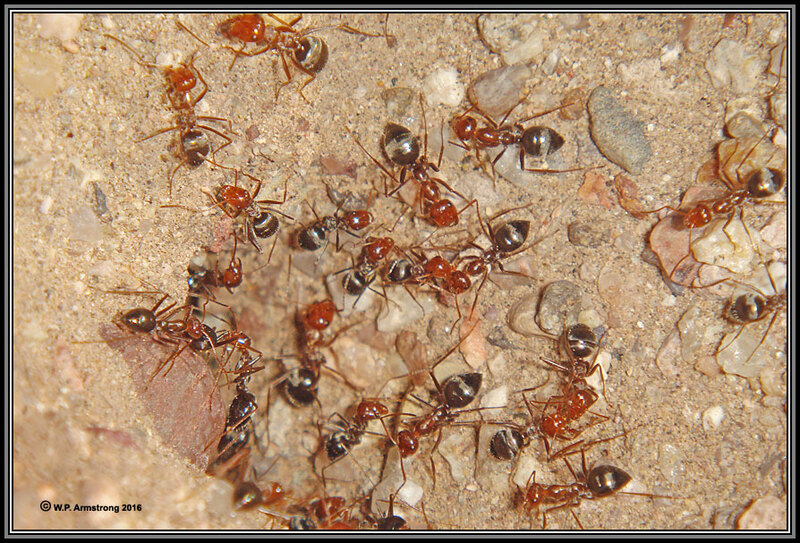 At first glance these might look like a nest of stinging red harvester ants; however. 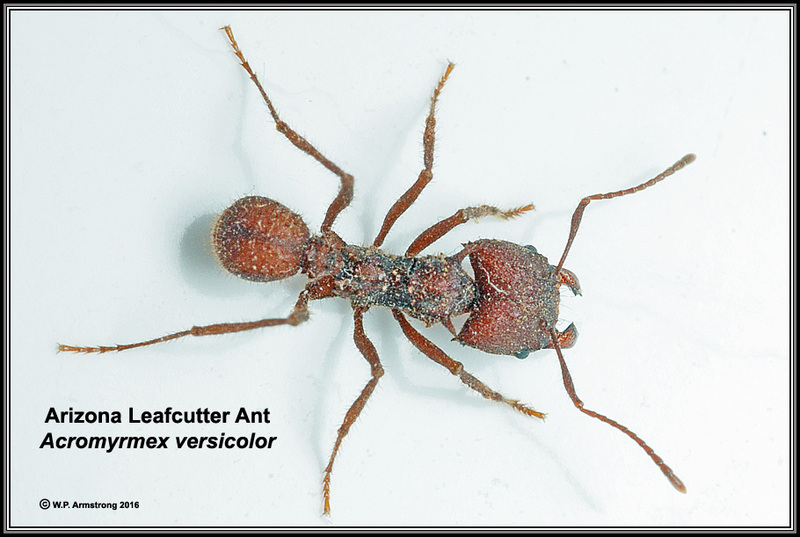 the following close-up images reveal the dorsal spines characteristic of leafcutter ants (Acromyrmex versicolor). 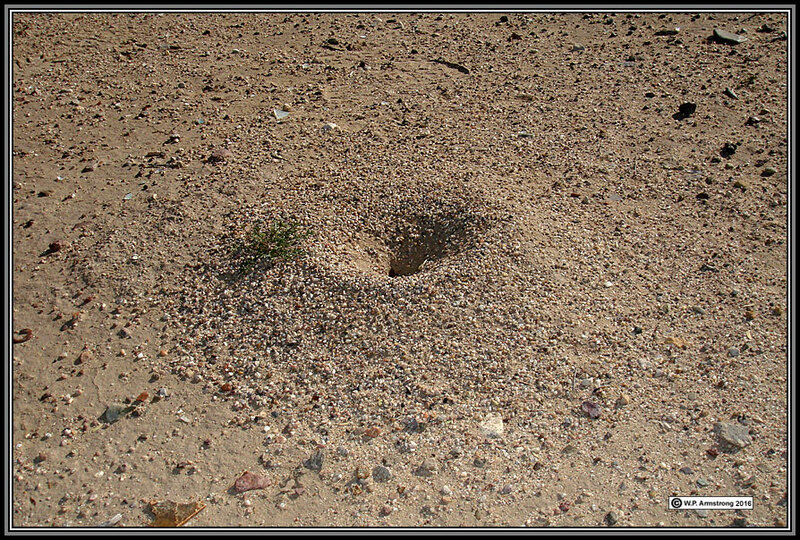 Ants from a large nest under a palo verde (Cercidium microphyllum = Parkinsonia microphylla): The state tree of Arizona.